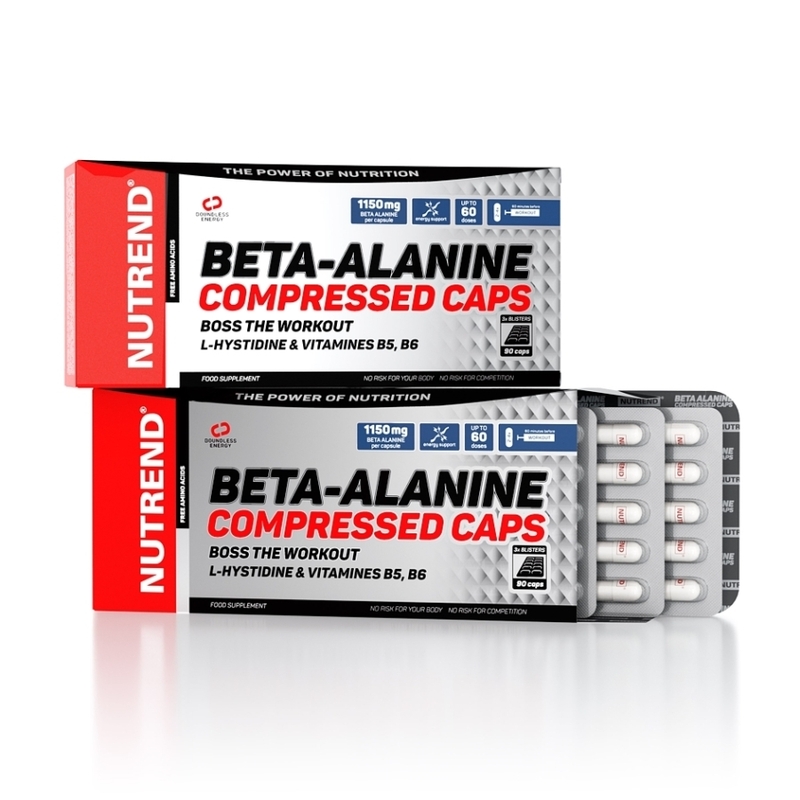 BETA-ALANIN COMPRESSED CAPS are capsules of high-quality purified gelatin that are easily digestible and contain precise portions of active ingredients, i.e. amino acids Beta-alanine and L-histidine. 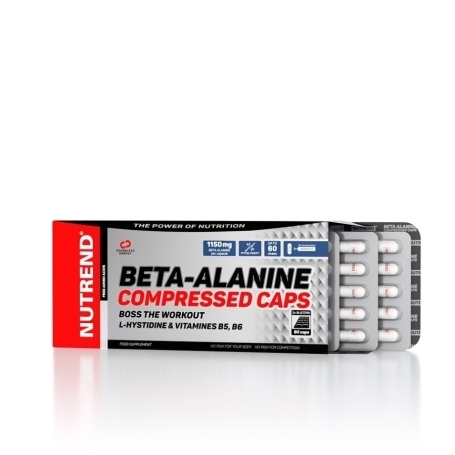 BETA-ALANIN COMPRESSED CAPS are capsules of high-quality purified gelatin that are easily digestible and contain precise portions of active ingredients, i.e. amino acids Beta-alanine and L-histidine. L-histidine is an essential amino acid that works very efficiently with beta-alanine, the main active substance in the body. 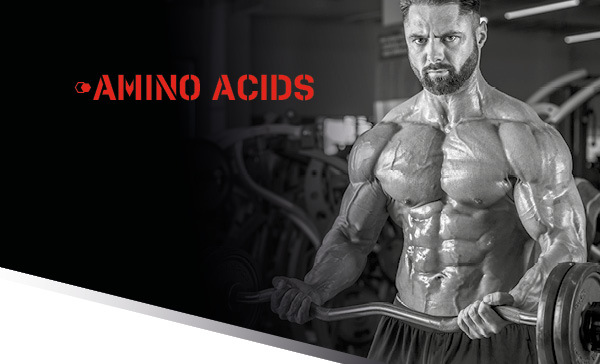 With sufficient amounts of both amino acids, carnosine is created in the body. This dipeptide causes paresthesia (tingling) and is sought after by athletes together with vitamins B5 and B6 to reduce fatigue and exhaustion and to boost energy metabolism. 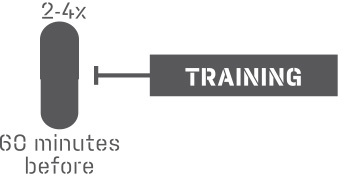 Recommended dosage: take 2-4 capsules 60 minutes before training. The maximum daily dose is 4 capsules. Do not exceed the recommended dosage. BETA-ALANINE COMPRESSED CAPS Ingredients: beta-alanine, gelatine capsule (gelatine, colouring agent titanium dioxide), L-histidine, bulking agent magnesium stearate, calcium D-pantothenate (vitamin B5), anti-caking agent silicon dioxide, pyridoxine hydrochloride (Vitamin B6).